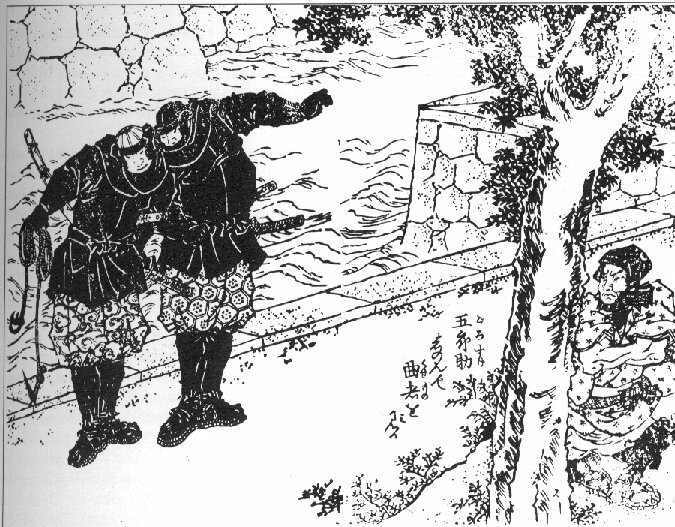 The Bujinkan Kocho Dojo teaches Ninpo, which is the philosophy of the ninja. It is not a religion, but it does focus on developing one’s spirit. It is not a philosophy that is written down in books and memorized, but rather is a method of strengthening the spirit through the physical training in ninjutsu. The hardships and difficulties encountered in warrior training helps to strengthen the spirit, giving the practitioner the ability to see through the illusions that create limiting fears in the heart and mind. The result is that as confidence in combat increases, all other aspects of life are put into a new focus, and do not seem so daunting. Using this method to strengthen the spirit, a student of ninpo can attain the strength to act in a just and moral manner. Weak people can too easily give in to fear and anger and do the wrong things in life. A ninja, using the power of his spirit to see through the fears and illusions that would coerce lesser people into doing unjust and immoral things, can realize the harmonious playing out of the forces of the universe and act accordingly. This seems at odds with the reputation of the ninja as cold-blooded assassins. The ninja actually helped to spread that fearsome reputation as a method of physiological warfare. By telling exaggerated stories to unsuspecting people, the ninja were able to keep people afraid of the ninja so that if the ninja were stumbled upon in the dark of night, usually the ninja did not have to fight. Most people and even many lower level samurai would probably run for help. In this way the ninja could defeat their opponents before conflict could arise, thereby keeping safe and sparing lives. However the reputation survives in modern fiction, and many people do not understand that the real nature of ninpo is more light-hearted. In fact, ninpo needed to be light-hearted in order to counter-balance the trauma of the dark activities that the ninja had to perform. The heart could be corrupted by the negative feelings that arise out of killing and assassination, so the ninja sought to develop a heart like wild flowers, that was content to merely exist, free of hatred. Bad ‘B’ quality ninja movies usually portray the ninja as humorless killing machines. This is far from the truth. The ninja were family clans, and it would be analogous to modern groups like the CIA and special forces being ‘family owned businesses’. The ninja clans, like any family, want what is best for their families. So they developed ninpo to a very high level, to the point that it would not be incorrect to think of the ninja as warrior-philosophers. And this philosophy of ninpo was the treasure of the ninja families. It has a natural light-hearted aspect that is often encountered amongst people who use humor to help deal with hardship. There is a story that shows this light-hearted nature. Two ninja were spying on an estate when they were seen. The guard yelled for help and the ninja started to run off. One of the ninja stopped and decided to climb a tree, hoping that the guards would rush off into the darkness looking for them, and when it was safe they would make their escape. His companion felt is was better to run while they could and urged the ninja to come down from the tree. The ninja refused, so the one on the ground yelled out to the guards, “Hey, there’s a ninja in the tree!” The ninja in the tree was forced to come down and the two fled into the night, chuckling about the situation. The following writings are examples of some of the insights attained by previous masters of our arts, but the goal is to gain the ability to have such insight oneself, and for such gems of wisdom to come naturally from the sub-conscious. 1. Know the wisdom of being patient during times of inactivity. 2. Choose the course of justice as the path for your life. 3. Do not allow your heart to be controlled by the demands of desire, pleasure, or dependence. 4. Sorrow, pain, and resentment are natural qualities to be found in life. Therefore, work to cultivate an immovable spirit. 5. Hold in your heart the importance of family loyalty, and pursue the literary and martial arts with balanced determination. Remove anger to preserve personality. Much effort is required to be patient instead of angry. So one must foster one’s personality and humility. Remove too much thinking to preserve the nerves. Don’t spend too much time thinking about trivia because you will become irresolute. So think less and develop strong nerves. Remove too much speech to preserve the spirit. Refrain from chattering too much and instead store up the power of your spirit. Remove desire to preserve the heart. The problems of the mind are like this: I want this or I want that, or I want to be rich and in high society, etc. So every effort must be taken to remove these desires and in turn cultivate a good mind and heart. 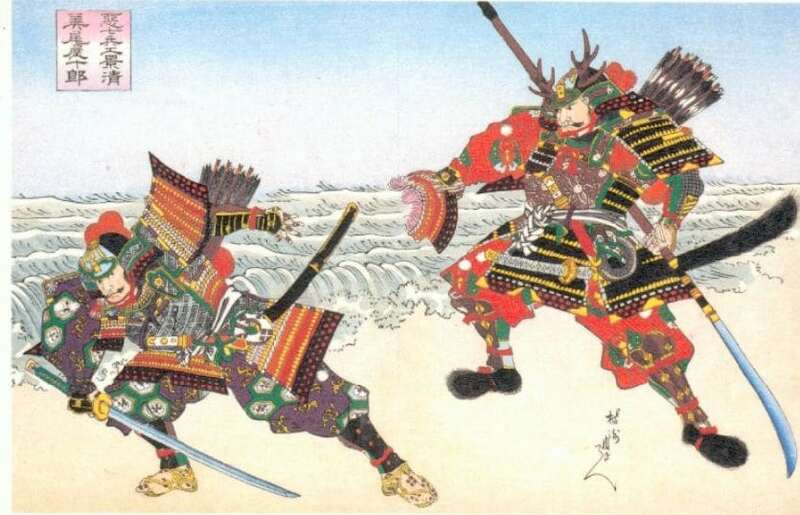 There have been many books about the samurai, and most of them refer to the philosophy of the samurai as ‘bushido’. ‘Bushi’ means warrior and ‘do’ means way, resulting in the word “way of the warrior.” However, Bushido is actually an Edo era creation, influenced heavily by Zen and Confucianism, and is not accurately the philosophy of the active samurai warriors. The ideals of the samurai evolved over time, and it is not possible to put the ‘way of the warrior’ down on paper with some absolute finality. It really is a complex subject that is intertwined with a complex history. The samurai of the Heian era are much different in many ways than the samurai of the Sengoku era, and many people consider the codification of Bushido in the Edo era to be the product of idle samurai who changed the spirit of their forefathers to fit their own times. There are some points in common with the samurai ethics of all eras. Loyalty to the lord they served is one of the most important ideals. The common goals of warriors can not be achieved if they cannot weld their intention together for the greater good of all. The feudal lord needed absolute loyalty from his warriors. The height of expressing a samurai’s utmost loyalty was the willingness of the samurai to lay down his life in the service of his lord. This selfless loyalty was very admirable in a warrior society, and samurai strove to live up to such a high standard. Honor is another very important ideal and it was a strong influence upon samurai society. Every act of a warrior reflected upon his family, clan, and the lord your family served, and it was extremely shameful to bring dishonor upon any of these. If a family’s reputation is damaged it could adversely affect the family for generations. So a samurai sought to avoid anything that would bring disgrace, and if he seemed to be imminently facing disgrace, a samurai would commit seppuku, ritual suicide, to allow his family to escape the dishonor and redeem his honor as a warrior. This ‘honor system’ was one of the driving forces that urged all members of society to make the choices that would be for the better good of all. High ideals such as these commanded that bravery and control over one’s fears be expected at all times. The stoic samurai is typically calm in the face of certain death upon the battlefield. In fact, samurai were admonished to come to peace every morning with the imminent possibility of their own death. Such a mentality seems extremely harsh by modern standards, but in actuality it taught the samurai valuable lessons on the value of life. Thinking each day their last, the samurai would live to their fullest ability, taking nothing for granted, and developing a heightened appreciation of even the smallest details. It is a different world today, but the ideals of the samurai offer many valuable insights that can help us all achieve higher principles in our own lives. Keeping such aims as loyalty to one’s nation and family, acting bravely and without fear, and avoiding those things that would bring dishonor while appreciating every moment in life will surely bring many rewards. The Bujinkan Kocho Dojo does not teach religion. We do have a rich philosophy and training methods for strengthening the spirit, but these are different than what we think of as religion in the West. Religions are generally considered to be focused on worshipping a deity and the correct manner of living to gain a better existence in the after life, usually gaining admittance into heaven. While the Bujinkan’s martial arts do have spiritual aspects that are very similar to Eastern ‘philosophies’ such as Buddhism, we are focused on developing ourselves spiritually, and not in worshipping a deity or getting into heaven. Those activities are left up to the individual to pursue. The philosophy of ninpo helps to develop the mind and spirit of warriors, so that they can become what the Soke refers to as “a complete human being.” A person who does not act out of petty fear and anger, but who has a controlled calm nature and can see through the illusions of life that blinds lesser people. The constant pursuit of enlightening insight is what prevents ninpo from ever becoming a cult as well. We do not blindly follow a ‘religious leader’, but strive to strengthen ourselves to gain the power to see through those that would mislead us. Ninpo was created in Japan, and it shares a thousand years of history with other spiritual systems including Buddhism, Zen, Shintoism, and Confuciusism, and even Christianity. Ninpo has been influenced to a small degree by the wisdom of these systems, but ninpo is not part of any of these systems. And despite the witings of a well known western author, Mikkyo Buddhism is not a part of ninpo. It is a separate method. If you are still unsure, then try to find a religion that claims ninpo is part of that religion. You won’t find it. Even amongst the samurai, religion was left up to the individual. Many practiced Shintoism and various branches of Buddhism, but some also became Christians after the European missionaries came to Japan. Today, the Bujinkan has the same approach. Religion is left up to each individual to pursue on his own. Since the Bujinkan organization has spread around the world, there are students in the Bujinkan from every major religion. Do not mistake the spiritual aspects of training in the Bujinkan with religion. Religion is something separate, although often times there may be some common goals and seemingly similar methods. Like most the stated goals of most religions, the Bujinkan is trying to develop high quality people who walk a just path in life. But religious choices will be left entirely up to the student to pursue outside of the dojo. If you have specific questions about the relationship between ninpo and religion, please contact us. 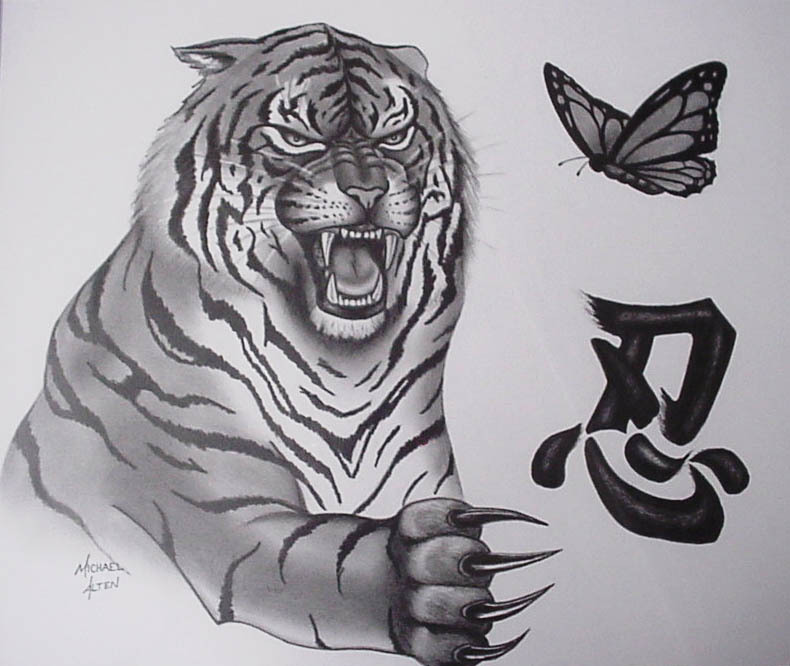 The Kocho Dojo derives it’s name from the characters of Tiger and Butterfly. There is an old story behind this name, which embodies concepts we try to promote in this dojo. They debated for hours in a seemingly endless cycle of possibilities. One advisor, the oldest amongst them, sat aside and did not participate in the discussion. The other advisors laughed, but the Emperor was willing to test the old man’s wisdom. He had his men capture a tiger and a butterfly and they constructed an iron cage to hold the tiger, which was covered in netting so fine that the butterfly could not escape. Both the tiger and the butterfly were placed into the cage. At first nothing happened. The tiger did not like to be trapped in a cage and paced for a while, but it could do nothing to escape and so lay down. The butterfly flew idly about the cage, oblivious to his opponent, and it seemed for a long time that the matter would not be resolved. Before too long however, the butterfly flew close to the tiger and attracted its attention. The tiger made a half-hearted playful attempt to swipe at the butterfly but missed, and so tried again. The butterfly flitted away once more, and continued to fly erratically about the cage as the tiger tried again and again to catch the elusive butterfly. The movements of the butterfly were difficult to anticipate, but every time the tiger missed it tried harder to catch the butterfly, until it was lunging uncontrollably about the cage with its mighty speed and strength. The intense struggle left the tiger exhausted and it collapsed to the floor of the cage in defeat. The butterfly floated softly past the tiger, but the tiger paid no more attention to it.